The 2 or 8 Way Relay Output Card is an internal peripheral for use with The ExGo series control panels and status indicators. 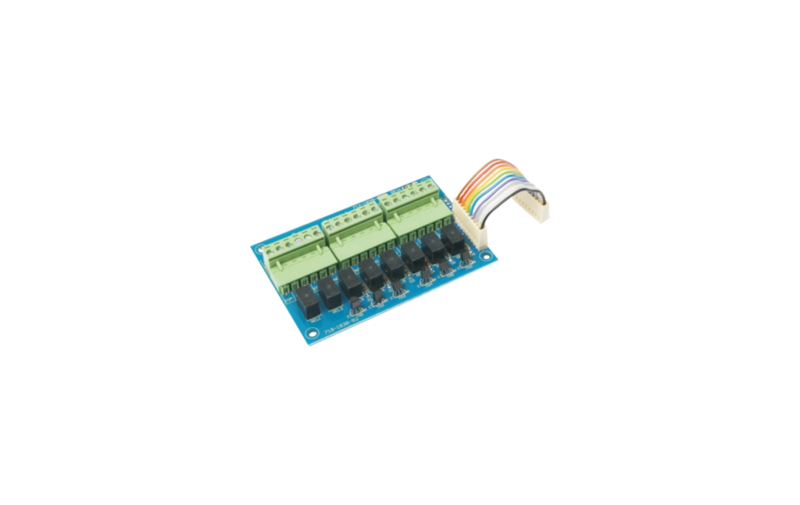 This additional PCB provides a cost effective solution to providing 2 or 8 individually programmable 1 Amp rated, volt free, clean contact outputs. The 2 or 8 Way Relay Output Card connects directly to the panels motherboard in which each output can be individually programmed. Ideal for any application where a number of programmable outputs are required at the panel. The features of the 2 or 8 Way Relay Output Card not only aid commissioning and cut down on expensive ancillary hardware but also allow the system to be easily configured to provide additional outputs for the more complex cause and effect configurations using standard products.